Discussion in 'Promo Codes and Contests' started by lucia han, Aug 25, 2015. 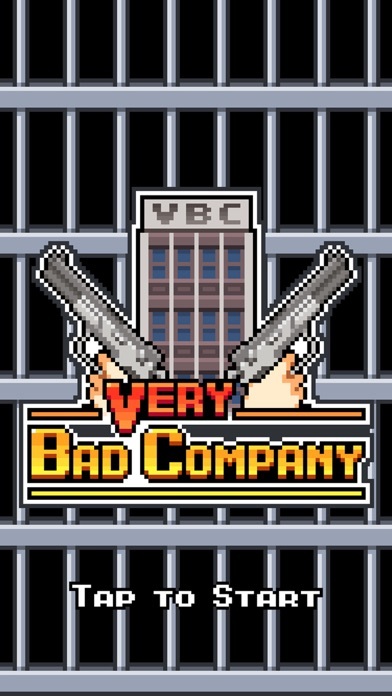 We are excited to announce the launch of our new Apple Watch game 'Very Bad Company'! To celebrate this, we're going to giveaway 10 Promo Codes for the game. Check out a video and a description of the game and Please leave your comment on this thread. On August 26 (PST), 10 winners will be received a promo code via PM! 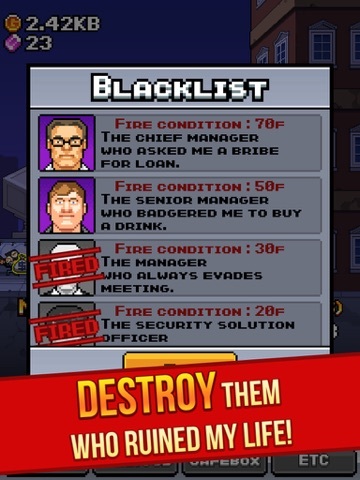 Please check your TouchArcade private message! Are you tired of being a good person? It's time to avenge! I was a young CEO at a IT company on a fast track. But the company went bankrupt because a bank that promised me their support refused to help my company at an important moment. I have decided to avenge on them for ruining my life. There is no more a GOOD CEO! 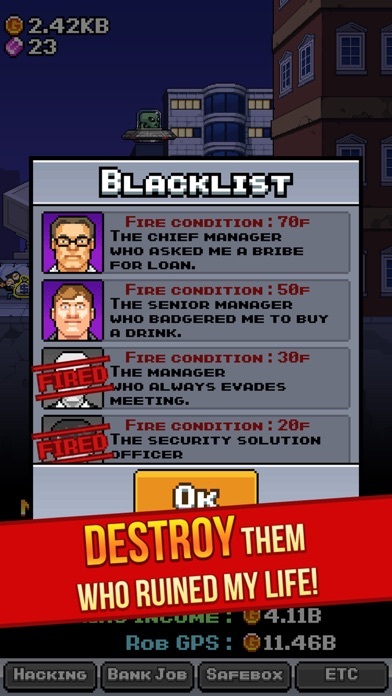 * Feature *	- Tap to hack! 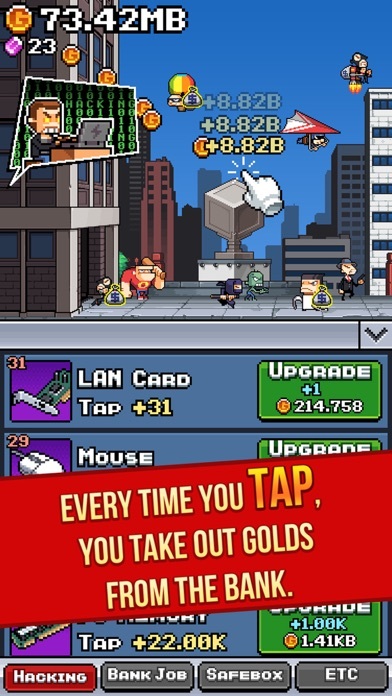 - Every time you tap, you take out golds from the bank. 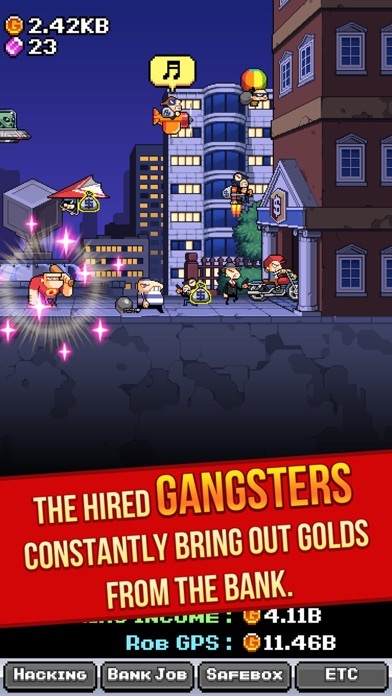 - The hired gangsters constantly bring out golds from the bank. 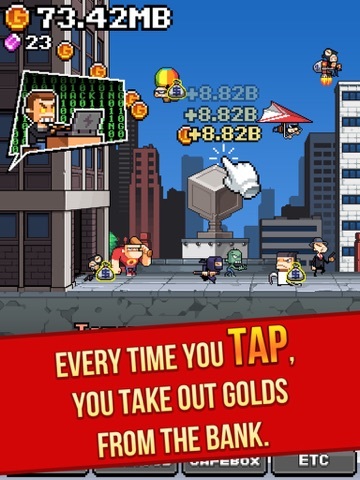 - Upgrade the hacking tools to earn more golds. 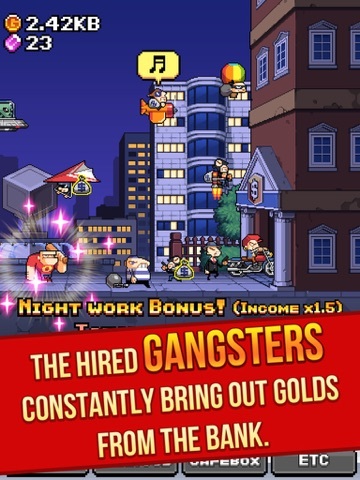 - 28 different gangsters. - Provide various achievements and ranking system to compete against online friends. Can't wait to try this game out! Cute graphics. Brainless tapping? I'm in. Nice pixel graphics! 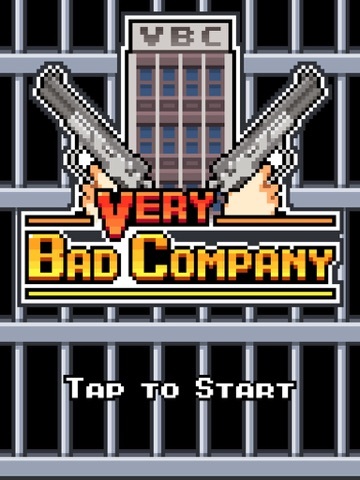 I'm a sucker for a good incremental game and this looks right up my alley. 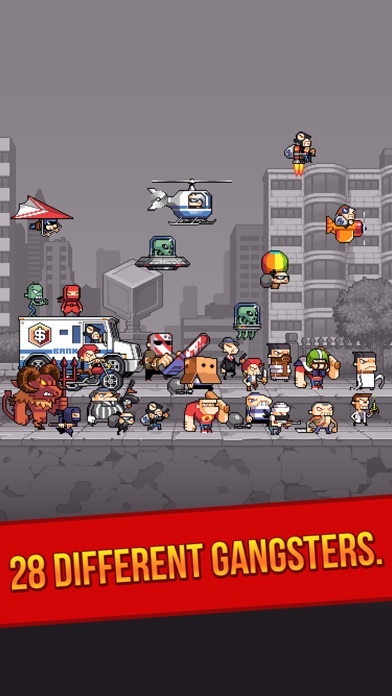 love pixel art like these, would like to try it... thanks!